In various cultures and traditions around the world the importance of jewellery is huge. Jewellery has been an important part of our daily lives. Jewellery has been essential throughout the course of human history. It has been used as an adornment by women as well as by men. Most people all around the world possess some type of jewellery be it bracelet, ring, earring or beaded pendant. 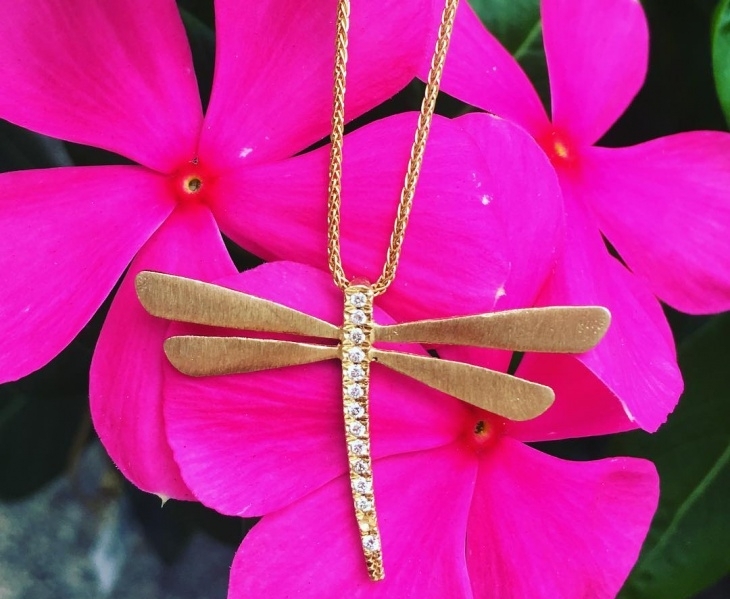 We suggest you to try out these trendy pendants! 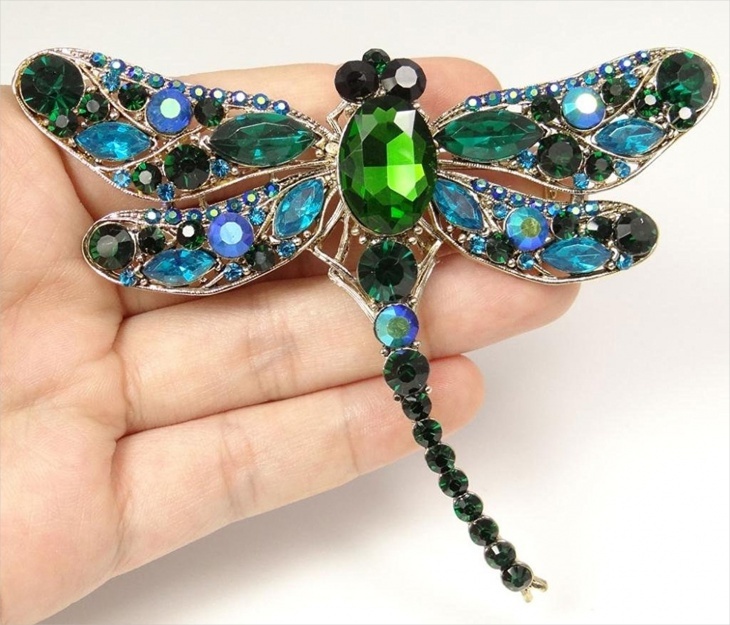 If you are looking to purchase something out of the box, then you surely can’t miss this beautiful handmade dragonfly pendant. 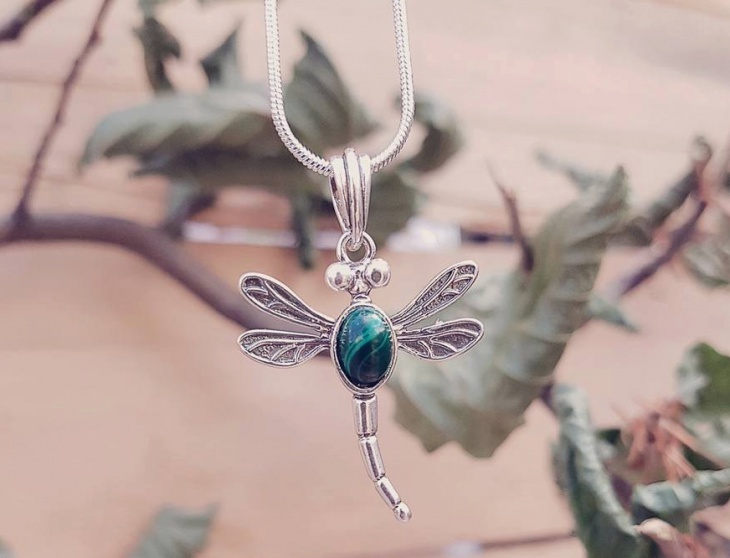 This pendant is made of malachite, however, the seller gives you the option to choose from a wide range of stone other than malachite. 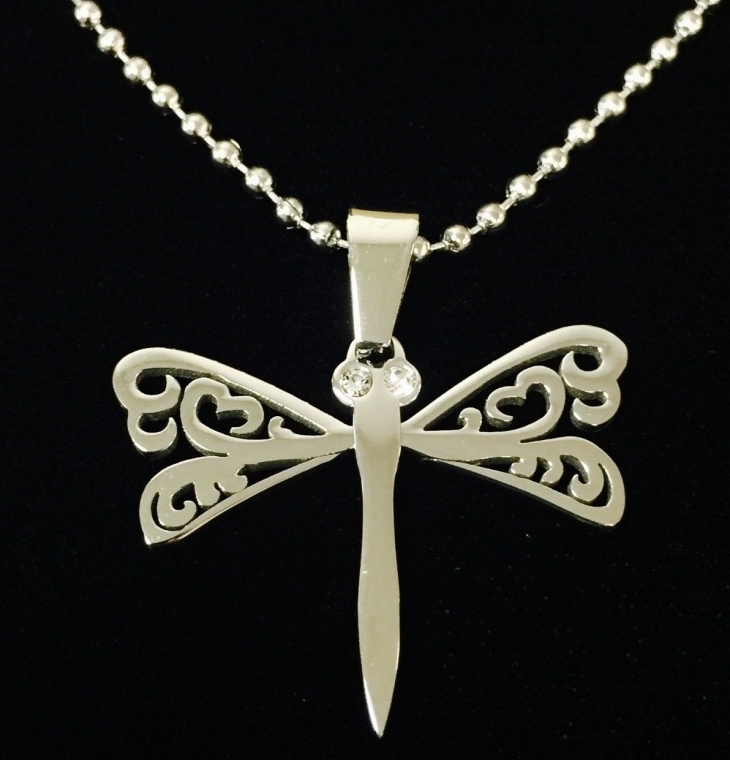 The chain coming with the pendant is made of high-quality sterling silver. 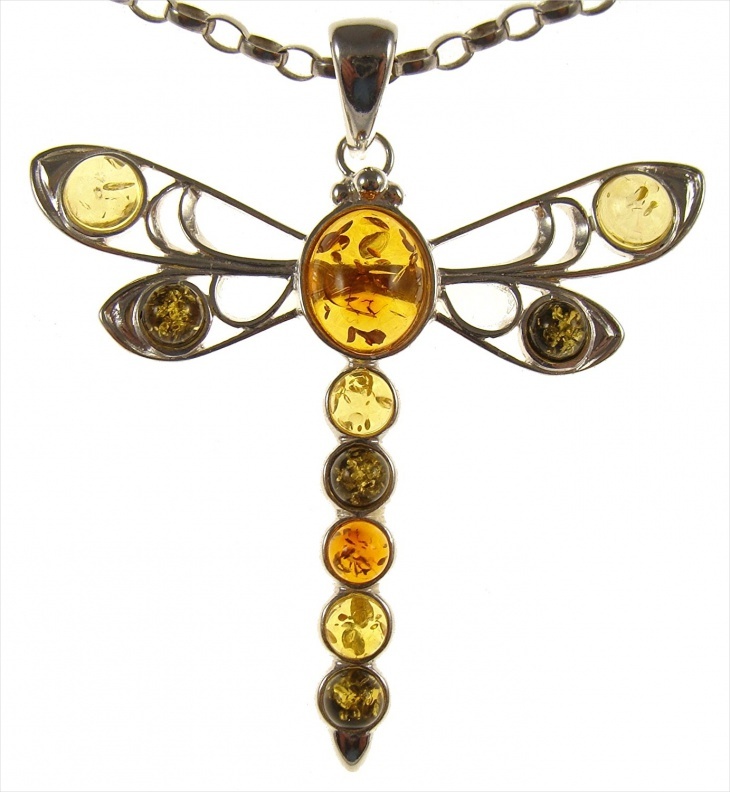 This topaz pendant is made up of first-rate BALTIC AMBER, imported from Poland. Handmade, this gemstone set doesn’t include the Sterling silver chain. You can separately order the chain and it is available in various shapes and sizes. The seller offers a free delivery and a 14-day return. 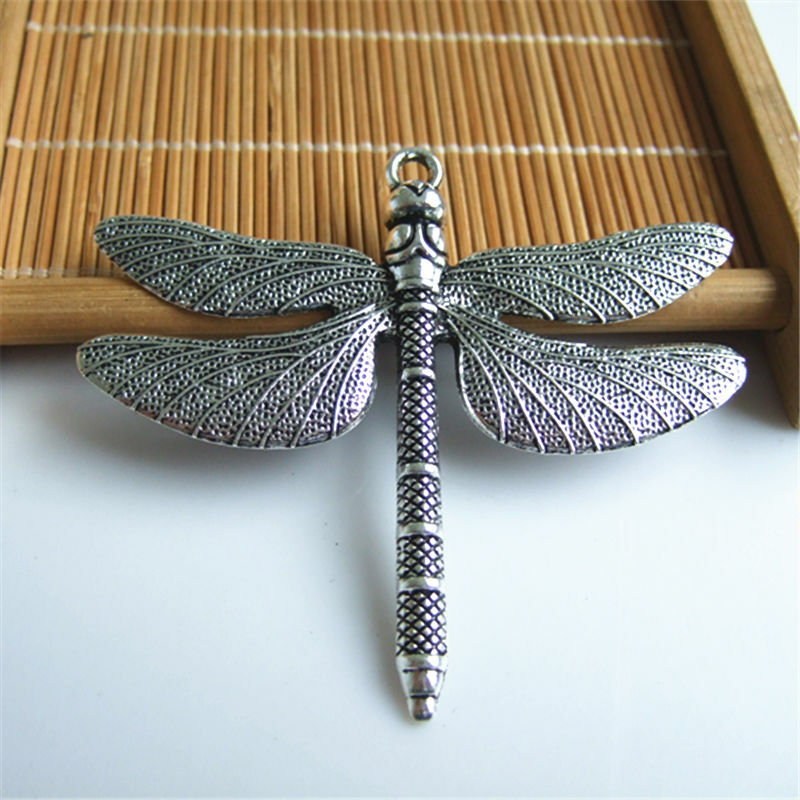 This antique silver dragonfly pendent comes in a set of 10 pieces. Made of alloy this pendant is extremely economical and will perfectly suit you if you are looking to make a style statement with the touch of uniqueness. The base metal used in this pendant is zinc. 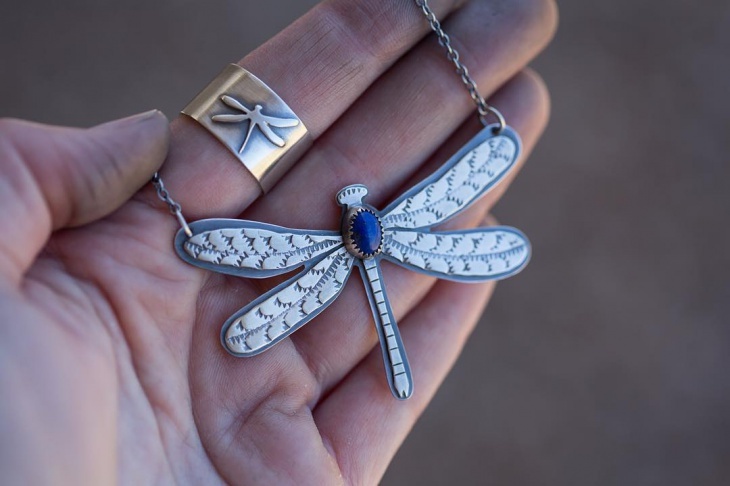 This is a vintage 1950s era heart of a dragonfly pendant is made of sterling silver. 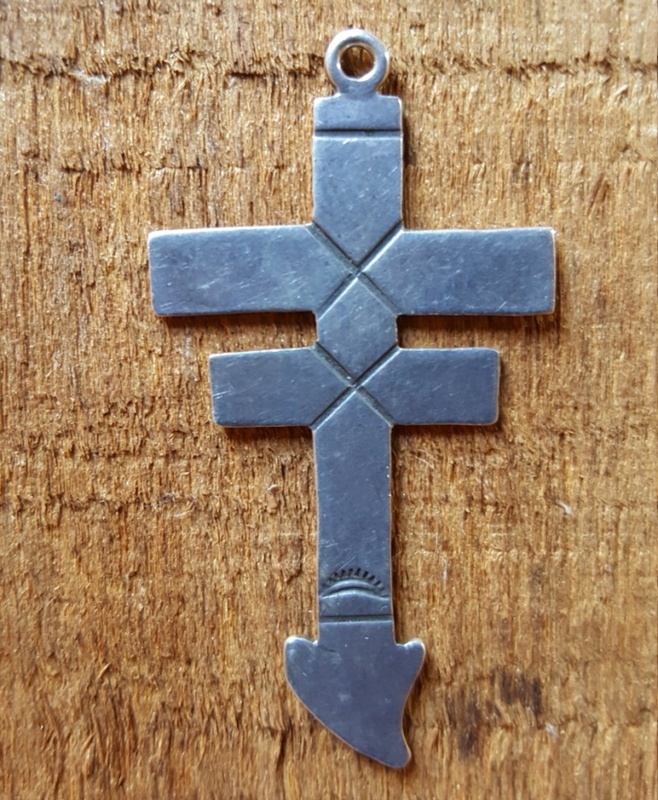 Apart from the pendant this set also includes a Vintage Isleta Cross, also made of sterling silver. The best thing about this design is its uniqueness which is still as trendy and fashionable as it was in the 1950s. 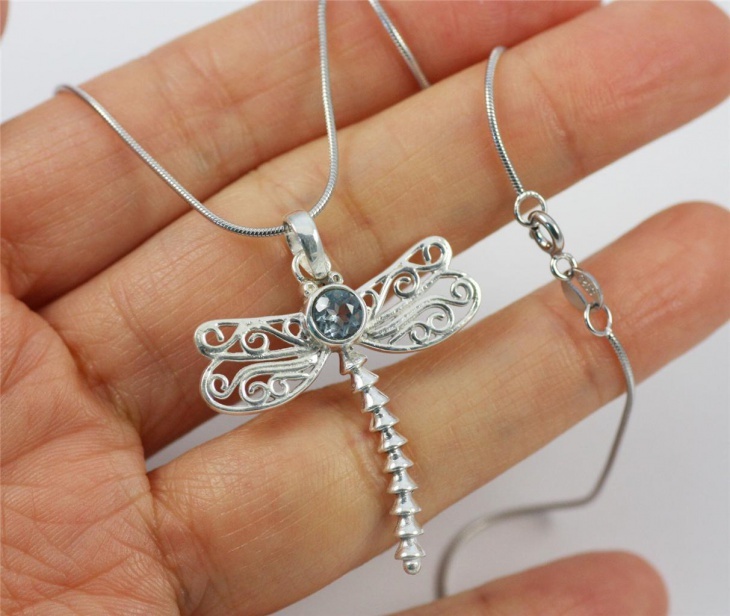 This topaz pendant features a dragonfly made of gemstones and silver. The multi-coloured crystals used in this design to make it something to look out for! 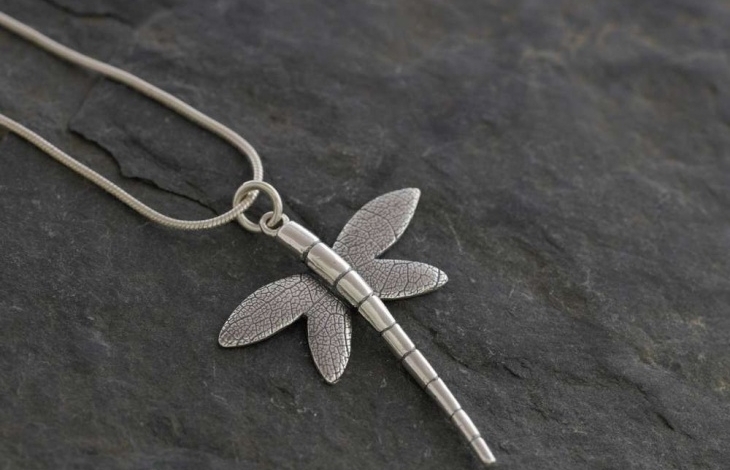 The pendant is connected with a chain made of sterling silver.This pendant is perfect for girls who have a thing for dragonflies! 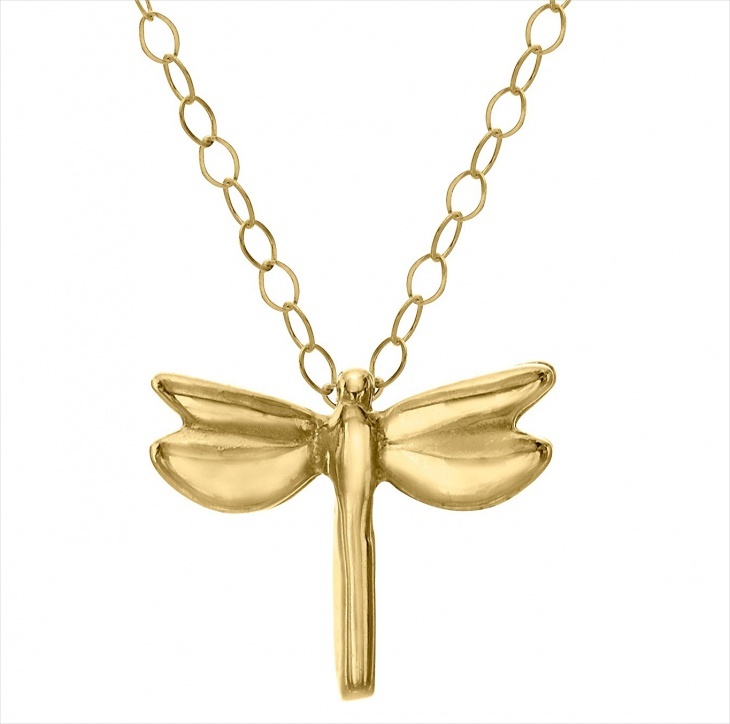 This Celtic dragonfly pendant is made of 14k gold and is perfect as a wedding jewellery. Made in the USA this pendant necklace features a unique design, making it perfect for people who are looking for classy designs at an economical price. 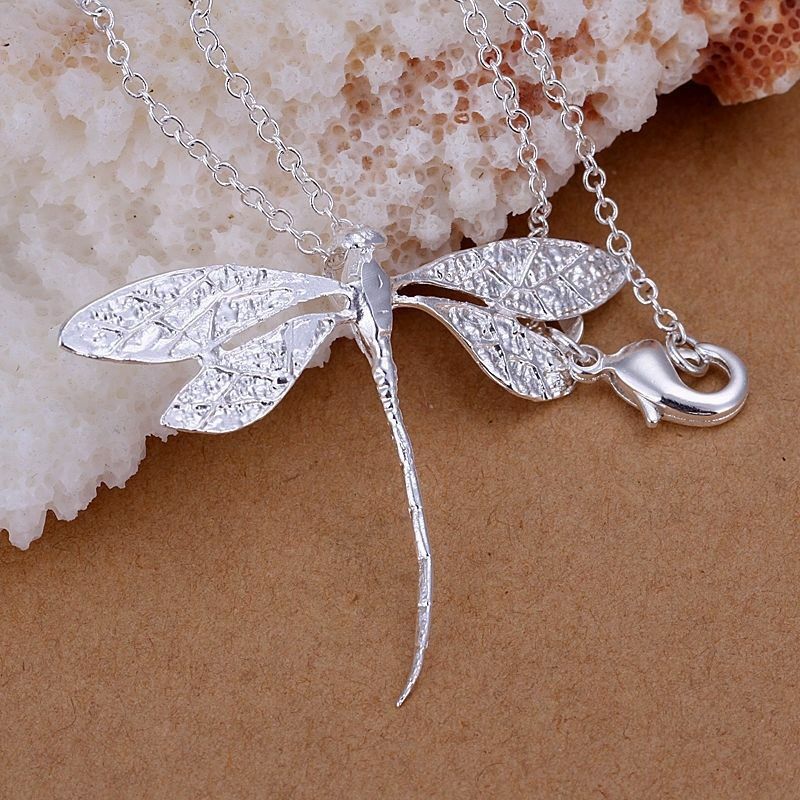 This Double Drop Dragonfly Necklace is delicate and unique in design. 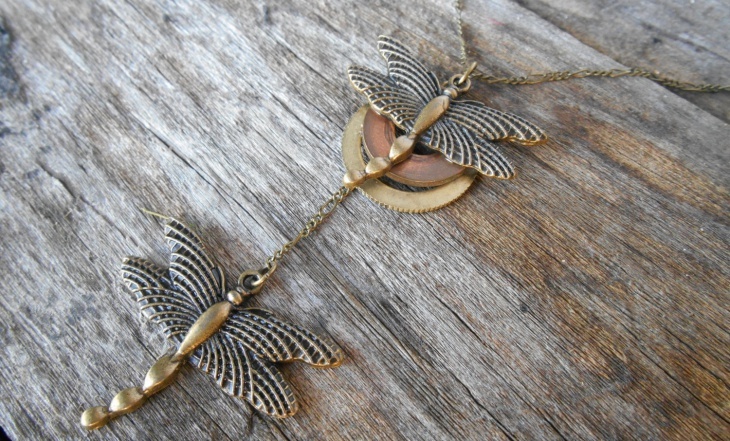 The two handmade dragonflies mount together with antique bronze featuring a dragonfly charm in antique bronze. 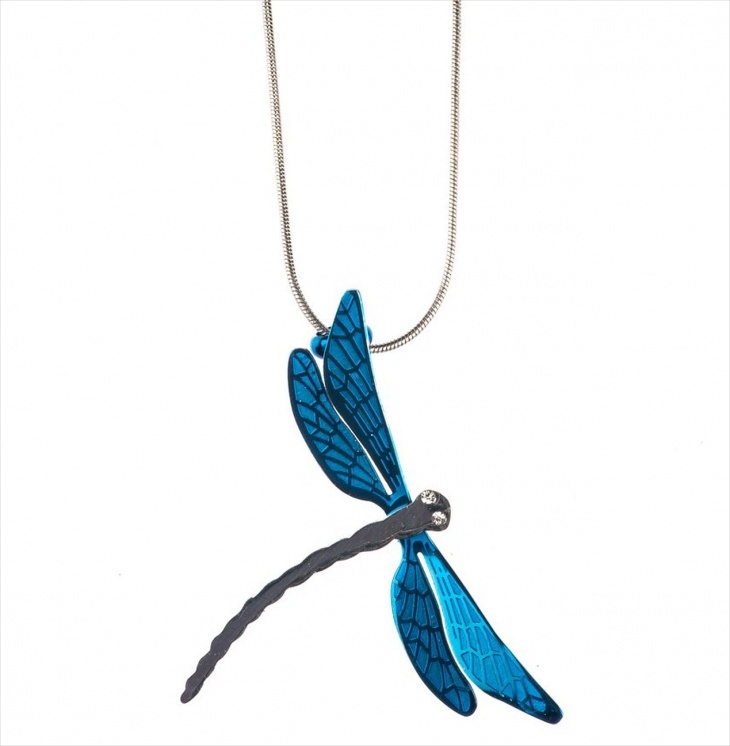 The second dragonfly hangs below the other independently, giving it a modern look. 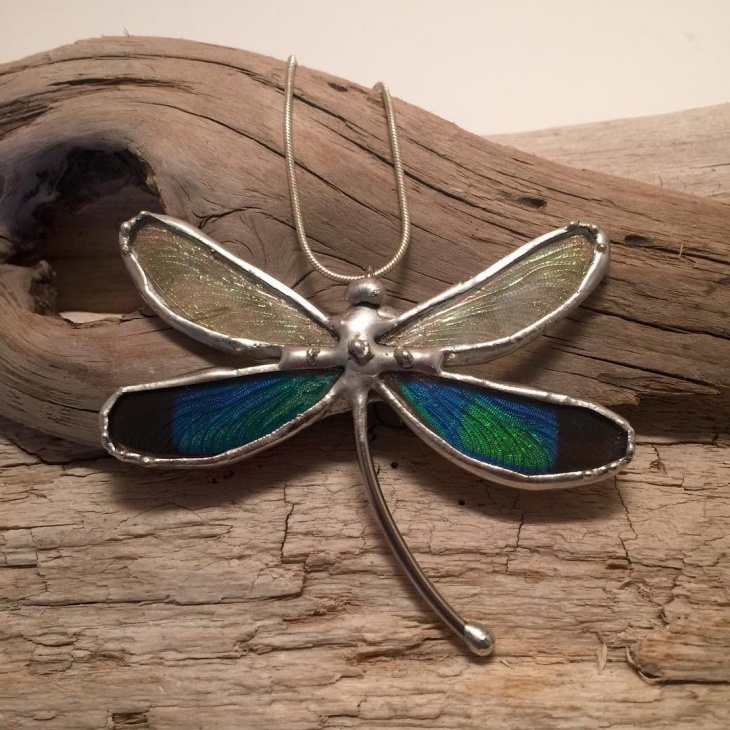 If you secretly have a thing for dragonflies and are looking for something classy as well as economical then this Nature Leaf Winged Dragonfly pendant is perfect for you. 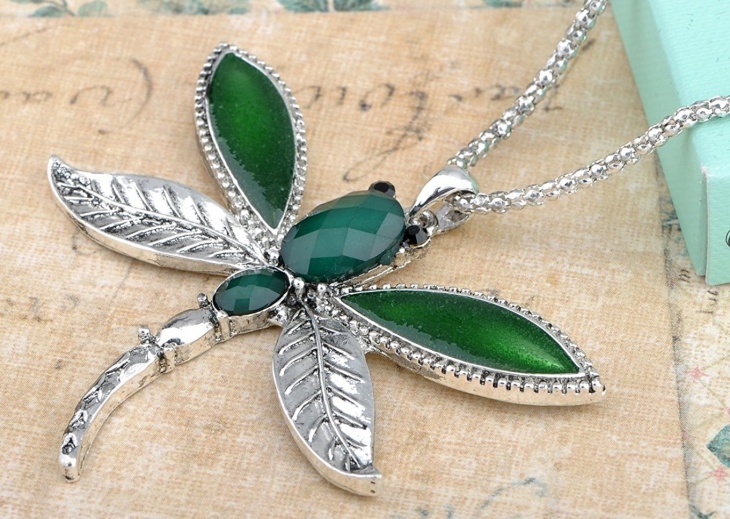 This beautiful pendant features bold emerald painted leaf wings. 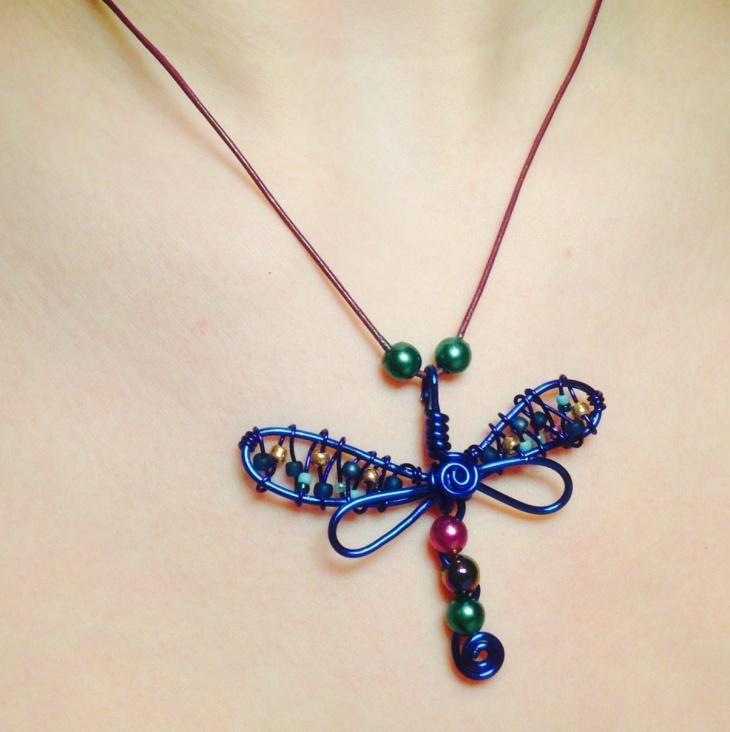 This design is one of a kind and will do well with any outfit! 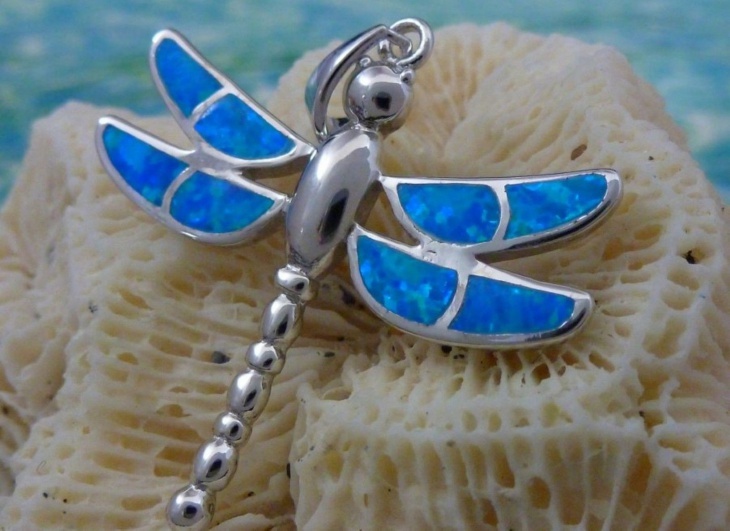 This beautiful silver blue fire opal dragonfly pendant is highly polished and made of sterling silver. The design is simple yet fashionable setting a style statement. However, the rhodium finish gives this pendant a highly polished look. So what are you waiting for? Go for it! 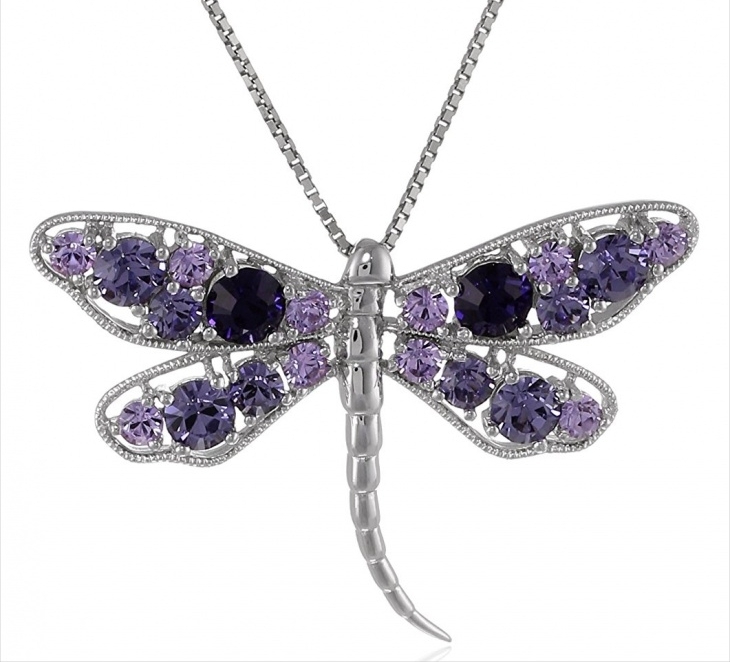 Nowadays different types of pendants are becoming increasingly popular. One of them is a stone pendant. 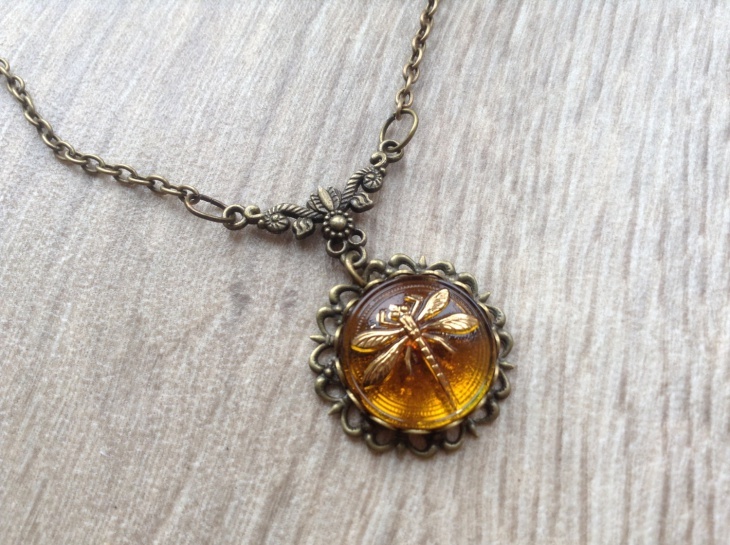 Although pendant necklaces have been traditionally associated with the rich and fashion-conscious class, but now it is widely used by women folks. 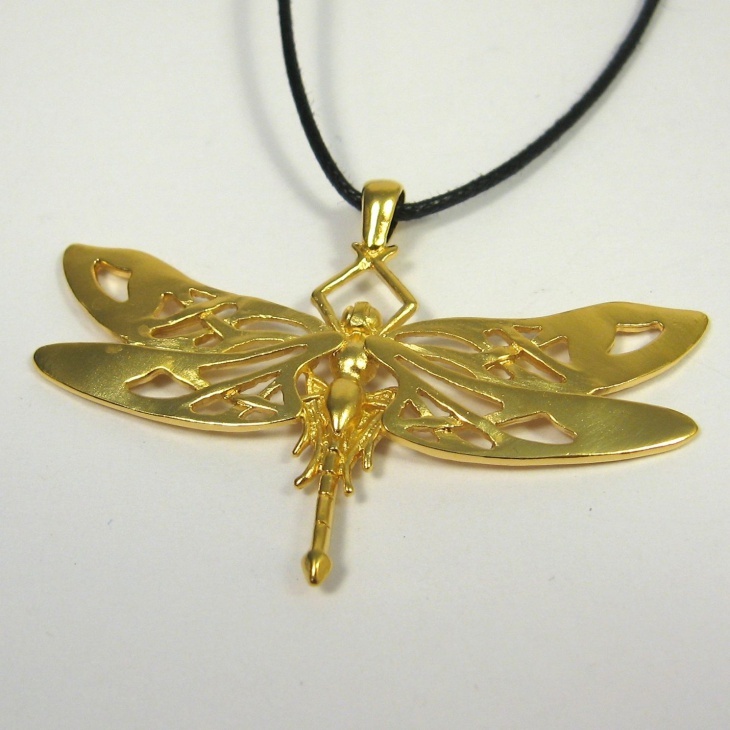 Pendants can be made from a variety of metals like Gold, platinum etc. along with gemstones like topaz, diamond etc. Some creative designers also use other materials like wood, leather and plastic as well.